A musician, a music teacher, a composer and a conductor, a good organizer and an animator, a polyglot, and above all, a great man. 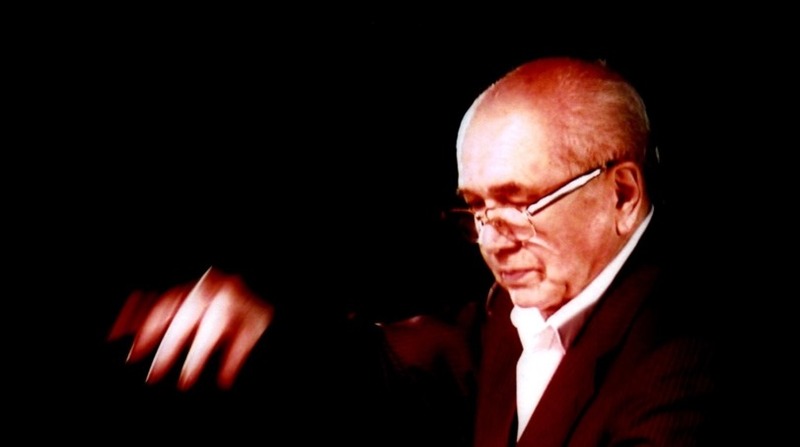 These are the words that could briefly describe the founder and the first art director of the Accordion orchestra from Slavonski Brod, which was after his death named after him. He was born in Pakracka Poljana in 1926. In 1929 his family moved to Slavonski Brod, a town in which he lived and worked until the end of his life which was always dedicated to music. He learned to play the violin and the piano as a boy, and right after the World War II, the accordion. In 1949 he started playing the accordion in a music band called Melody, where he was a bandleader, composer and arranger. A music teacher by profession, working at the First National Ground School, he did not only stick to school plan and programme but always tried to bring that human component in his work. For example, he founded the students’ band that played at the celebration of their graduation. For ten years, from 1978 to 1988, Beci was also the conductor of Brass Band in Slavonski Brod. He had tremendous energy so that, among other things, he initiated the opening of the Music High School in Slavonski Brod, and two regional departments of Primary Music School in villages around Slavonski Brod. Beci was a really prominent person in the cultural life of the town. Thanks to the knowledge of many foreign languages (German, Italian, Slovak and Hungarian) and his extraordinary personality, he maintained good cooperation with foreign composers of orchestral music. Among them, we should mention the German composer Adolf Götz, who wrote Slavonian rhapsody, inspired by the sounds of Slavonia. The combination of that composition and our orchestra has never left our listeners indifferent. Beci was a skilled art director and the Accordion Orchestra was his master work. He conducted it almost to the last day of his life and was fond of its members to the extent that he called them "his children". He raised many generations of musicians and maybe even more important, hard-working young people who are always happy to remember the period of their lives spent in the orchestra, many journeys, friendships and even crushes. His "children" did not forget Beci, they did not allow the orchestra to stop working and Beci’s work to be forgotten. Instead they named the orchestra after him and they still work hard and look forward to new successes.